New York Times – "R.I.P. Warped Tour. At Least We Still Have Vans." "In 2004, when Vans was acquired by VF Corporation — which owns JanSport, Timberland and the North Face — it was making about $325 million in sales a year. This year, Mr. Palladini said, Vans is on track to surpass $3 billion. The first Vans store, which was known at the time as the Van Doren Rubber Company and opened its doors in Anaheim, Calif., in March 1966, was a much humbler affair. It was founded by Paul and Jim Van Doren, brothers who would take custom orders and manufacture shoes on site. Eventually the shoes’ waffle soles attracted skateboarders, and in 1976, Tony Alva and Stacy Peralta — pro-skaters who were immortalized by Victor Rasuk and John Robinson in the 2005 film “Lords of Dogtown” — designed the Era, a low-top sneaker that became a Vans classic." "A former Lollapalooza stage manager, Mr. Lyman had put together the first Warped Tour in 1995, with bands like Sublime and No Doubt on the original lineup. But he needed financial support to keep it going and was seeking sponsorship. Steve Van Doren, the son of the Vans co-founder Paul Van Doren, was on a different mission. 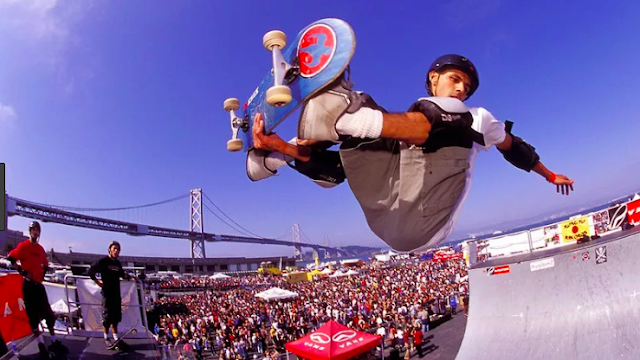 Separately, he was searching for someone to help him plan an amateur skate contest that would tour across the U.S. and the world. He met with Mr. Lyman, who said Vans would draw more people to skate events if live music were on the lineup. In “Vans: Off the Wall,” a book about the company, Mr. Van Doren said that a deal was forged between the two men within 15 minutes of their meeting. Thus, the Vans Warped Tour was born."